No iCal subscriptions. No user learning needed. 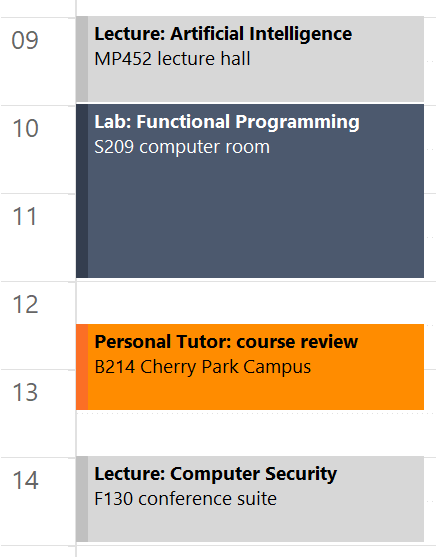 All timetable information gets published to existing Office 365 calendars. 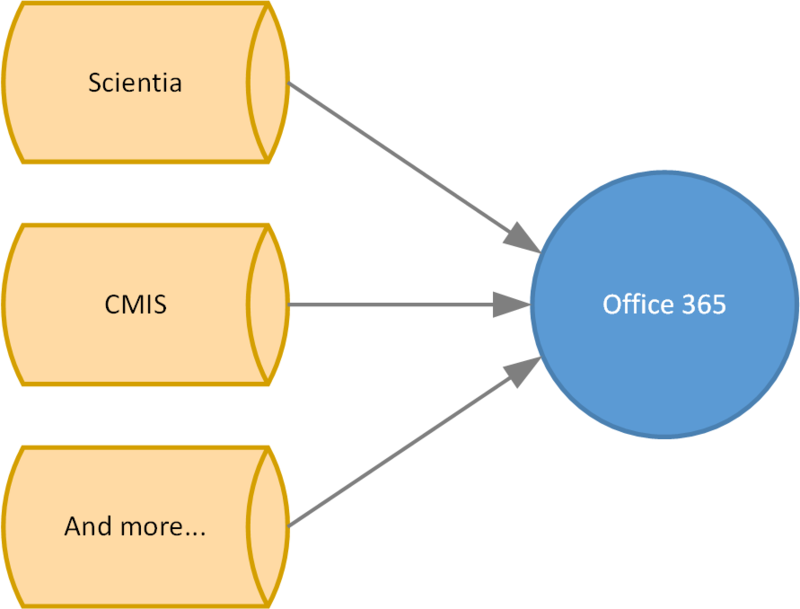 CalSync can publish to Office 365 all student, staff and room timetables directly from Scientia, CMIS and more. Students and staff can access their schedules on devices they’re already using, in the calendar they’re already connected to; no additional software, downloads or compatibility requirements to meet. 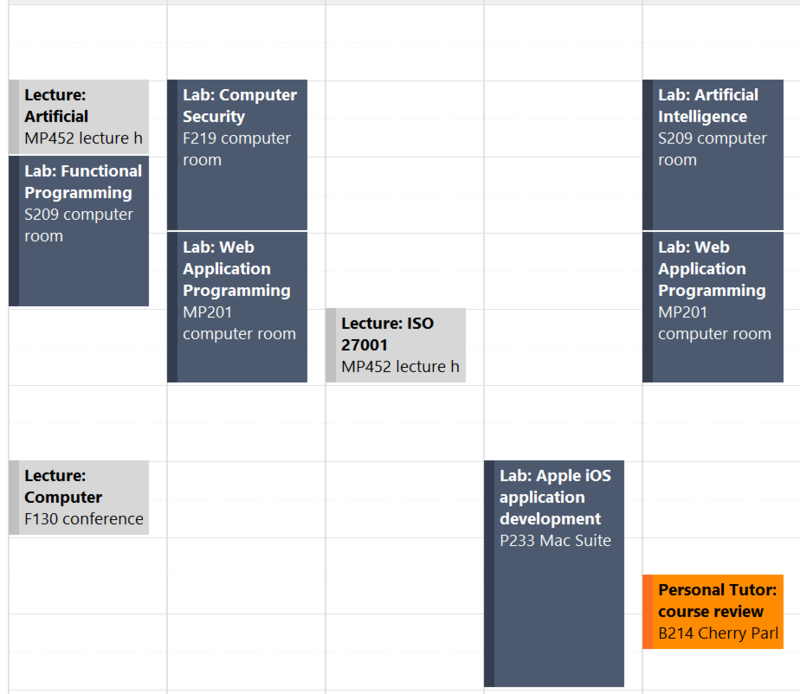 Live schedules are published with updates to timetables reflected on their devices, with optional alarms and notifications for late changes or cancelled sessions. …anything with a date, start time and end time! Timetable information is delivered directly to an individual’s primary calendar; no additional instructions to follow. A live feed to the timetable system ensures changes are reflected in calendars as they happen. 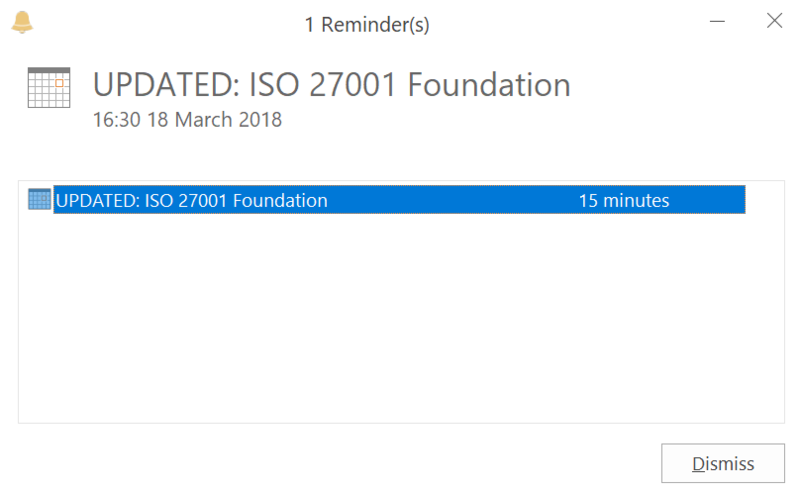 If a session gets changed or cancelled with short notice, pop up a notification on any connected device. Populate your Office 365 calendar with complete free/busy information, including rooms, halls and shared spaces. CalSync publishes timetable information directly into an individual’s primary calendar using impersonation. With CalSync your staff and students will know exactly where they should be, and when. No more checking external systems or using paper-based records. 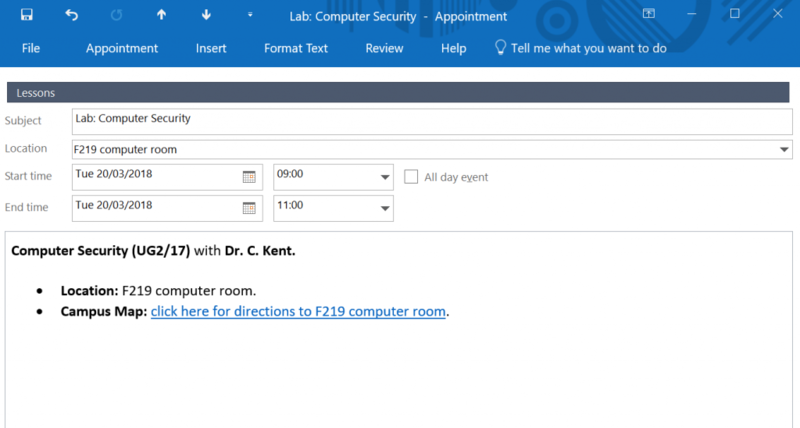 No more ‘All Staff’ and ‘All Student’ emails to confirm a venue has changed; all this and much more can be published directly and intelligently to Office 365. Tailor your data feed to meet your college or university requirements. Include only fields, lessons, or information you need. Our customisable data engine gives you complete flexibility to pull information from any connected system; whatever the database, CalSync can access it. Our data engineers will help you create your SQL views, importing data from wherever it’s stored. CalSync supports Scientia, UNIT-e, CMIS and many other management systems, including home-made student record systems. If it is in a Microsoft, SQL or Oracle database, we can access it. CalSync can interface with any Microsoft SQL or Oracle Database system for reading appointment information, and can output to either Office 365 or on-premise Exchange. Include links to floor plans or other systems which provide more information. Using rich content in calendar entry templates means you will provide your users with a positive experience, whilst giving them the information they need in a format they’ll enjoy using. Any database information can be incorporated into your calendar entries by using substitution tags. Include the lecturer’s name, your location, information about the course, or simply just the location, time and date. CalSync is designed to provide a live connection back to student, staff and room calendars. If you change a lesson’s location, start or end time, CalSync will reflect these changes in the relevant calendars, sending a pop-up notification to users letting them know their calendar has changed. Include your university academic days, closures, notifications, and extra-curricular activities by publishing them as “free” days meaning they don’t show up in a student’s free/busy info, but they are still there, reminding them that the day is approaching. The benefit of this feature allows you to include more information about your event within the description of the calendar event. Free/Busy information in Outlook is accurate and up-to-date, making it easier for you to book colleague appointments, as you don’t need to check their timetable first. 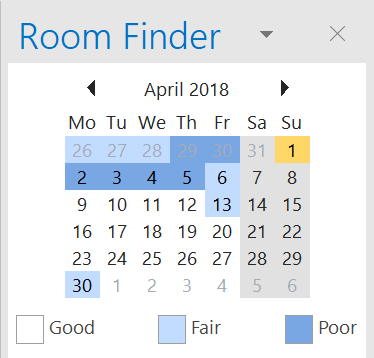 Using the Room Finder Feature within Office 365, Exchange and Outlook displays a room’s availability. Find rooms and schedule meetings with confidence thanks to the data now available at your fingertips. Publish multiple types of events to calendars with a selection of colours to represent your corporate branding, activity or simply to brighten things up! 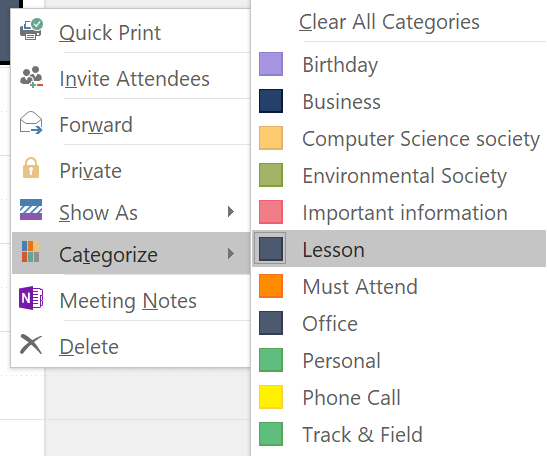 These will show up in Outlook as categories, allowing the calendar owner to search, sort and filter, based on the data you have provided. CalSync uses the industry-standard Apache log4net engine to provide heavy-duty logging capabilities. CalSync’s transaction information can be sent to any number of output targets including text files, a Syslog server, Windows Event Log, email addresses and more. To keep everything running smoothly CalSync provides its own service monitor engine and scheduling system, to provide fine granular control for how and when you wish to update your various data feeds. What’s more the CalSync service monitor also includes the ability to monitor core processes and restart them if necessary. CalSync is used by universities and colleges across the United Kingdom. Liked by staff and students they immediately see the benefit of having rich, up-to-date information directly in their calendars. You don’t have to take our word for it – our customers do that for us, singing the praises of CalSync and how much added value and ease it has brought to their institutions. CalSync has the capacity to connect to any input data source with a front-end Microsoft SQL or Oracle Database to retrieve staff, student, room and timetabling information. Our dedicated data engineers work with you to connect your existing data sources to CalSync – providing staff and students with the up-to-date information they need. To see how you can benefit from clear and easy timetabling and scheduling data for your teams, get in touch and book your free personalised demonstration today.